You will need to have access to the General Refractor Module to complete this tutorial. 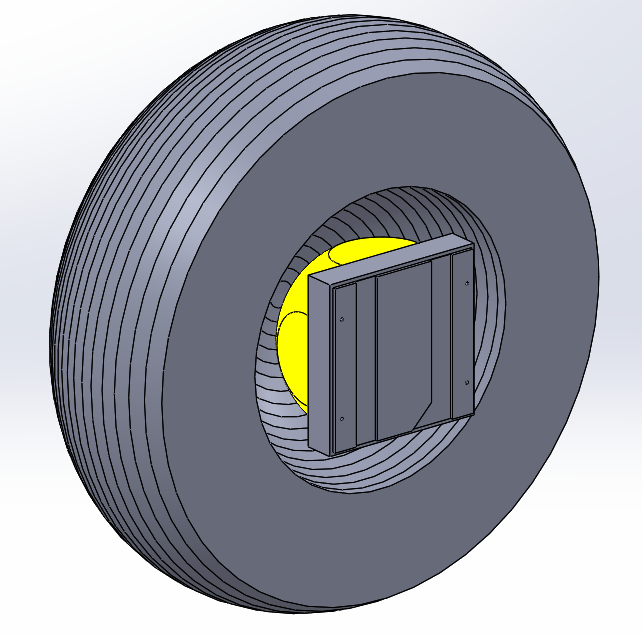 Start SOLIDWORKS and click File > New and choose a Part. Set the units for the part to be MMGS. Select the Top Plane in the Feature Manager Tree, and then choose the Sketch tab from the Command Manager and click the Sketch button to create a new Sketch. Next you will create a line which defines the lamp center and beam direction. From the Sketch tab in the Command Manager, click on the Line button and check “For construction”. Click to start the line at the origin and drag it down vertically to be about 10mm long. The exact length isn’t critical as this line defines the center of the beam and lens revolve axis. 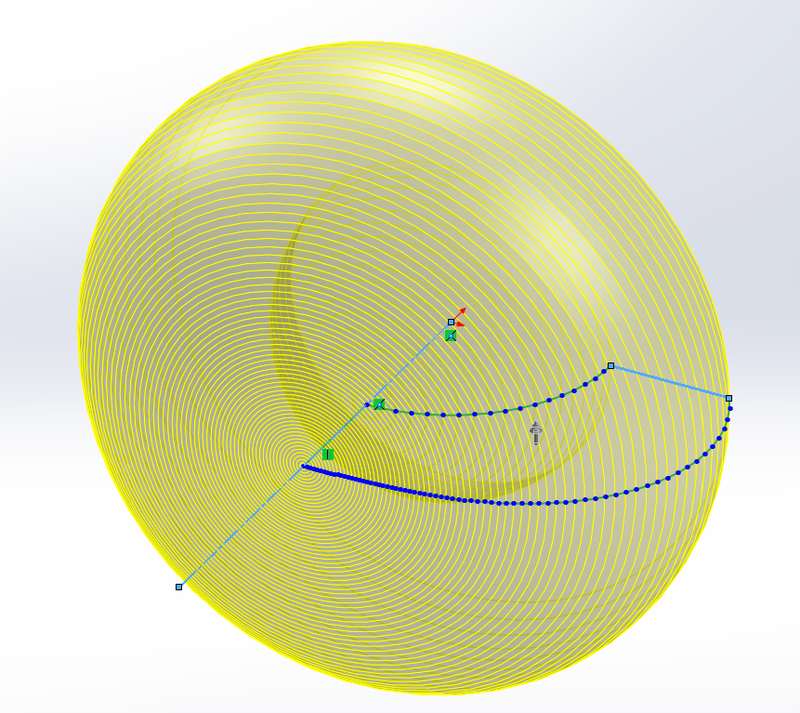 Next you will create an arc which defines base profile of the lens. In this example, the base profile will be the input surface of the lens. 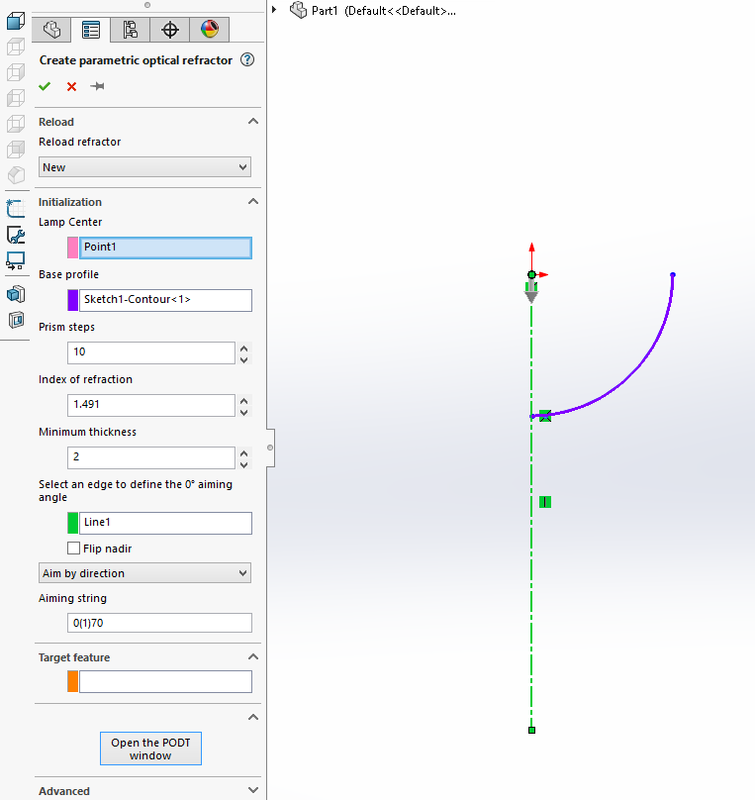 From the Sketch tab in the Command Manager choose the Centerpoint Arc tool, click the origin as the arc center, choose a start point along the construction line below the origin, and drag to the right to approximately 90°. To get the precise dimensions, then enter 3 as the radius and 90 as the extent in the PropertyManager as shown below. Ensure the sketch still open and click Design lens (Photopia CommandManager Tab) or Tools > Photopia > Design lens. For the Lamp center property, select the sketch origin. For the Base profile, select the arc. For the 0° aiming direction select the construction line. Keep the Prism steps & Index of refraction at their defaults (we’ll assume an acrylic lens). Set the Minimum thickness to 2. Click the Open the PODT window button. Change the Profile type property to Smooth. Close the PODT window with the red X in the upper right corner. Click (check) on the lens Property Manager to create the lens profile, which will be displayed in your sketch. Ensure the sketch is still open and click the Revolved Boss/Base button (Features CommandManager Tab). Set the Axis of Revolution to the construction line. The Contour should have automatically been populated with the PODT profile. Choose File > Save to save the part file. Give it a name of SW PODT Lens. Choose File > Make Assembly from Part to create an assembly file. 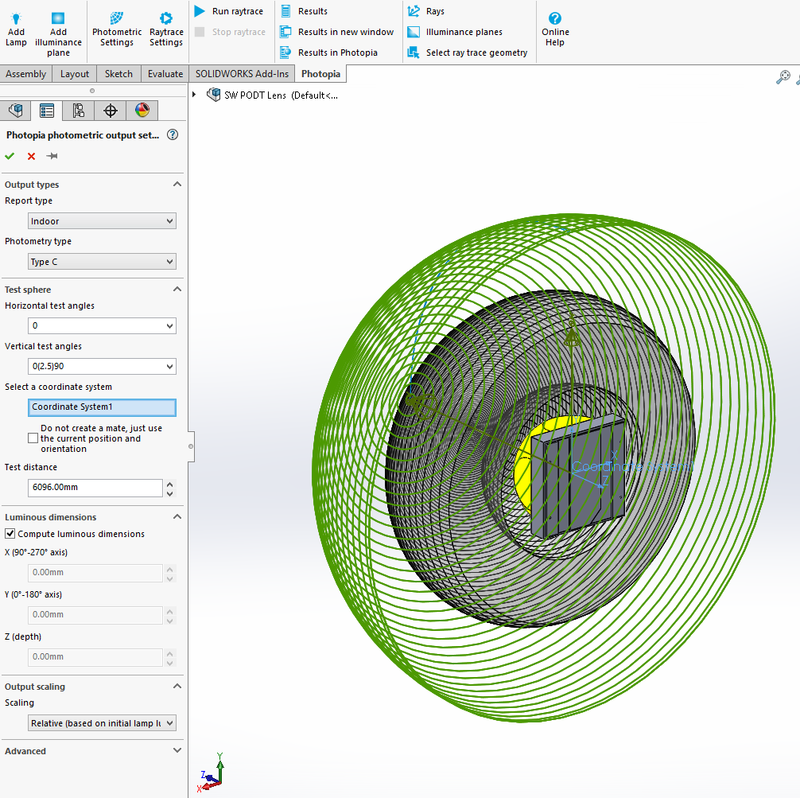 Choose Insert > Reference Geometry > Coordinate System. 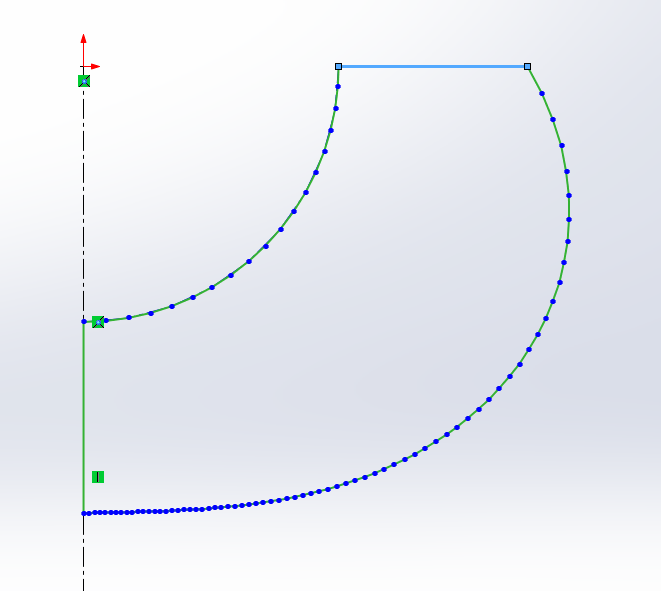 Click in the Z Axis reference box and then click the Arrow button to reverse the direction of the z-axis. Click (check) to create the coordinate system. 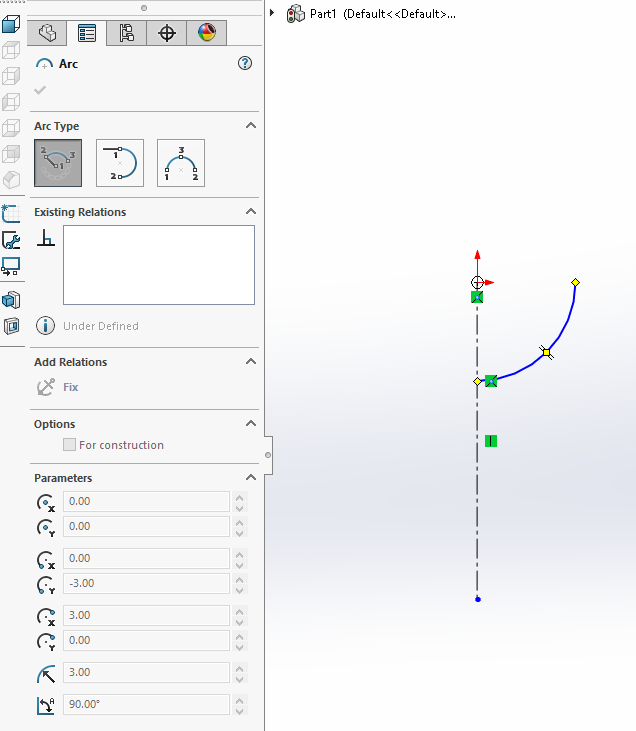 You should see the Z axis of the reference coordinate system point in the opposite direction of the SOLIDWORKS coordinate system in the lower left corner of the CAD view. Select Coordinate System1 in the FeatureManager and then click the Add Lamp button (Photopia CommandManager Tab). You will see Coordinate System1 already referenced to this lamp model, which will ensure the lamp imports in the correct orientation. Click (check) to import the lamp. In the Photopia Appearances Tab on the right (green sphere icon), find the “Generic Acrylic 1” refractive material. Use the filter to show only the Refractive materials so you choose the right one. 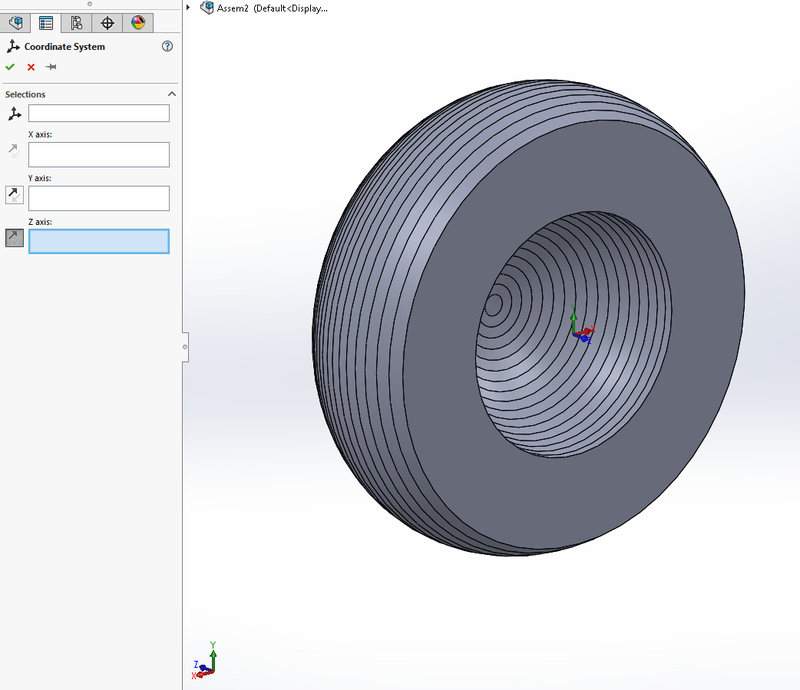 Drag this material onto the Len Part in the Feature Manager to assign the material at the component level to the entire part. Select Coordinate System1in the Feature Manager and then click the Photometric Settings button (Photopia CommandManager Tab). Set the Horizontal test angles to: 0. Set the Vertical test angles to: 0(2.5)90. Click (check> save the Photometric Settings. Click the Start Raytrace button (Photopia CommandManager Tab) to begin the raytrace. 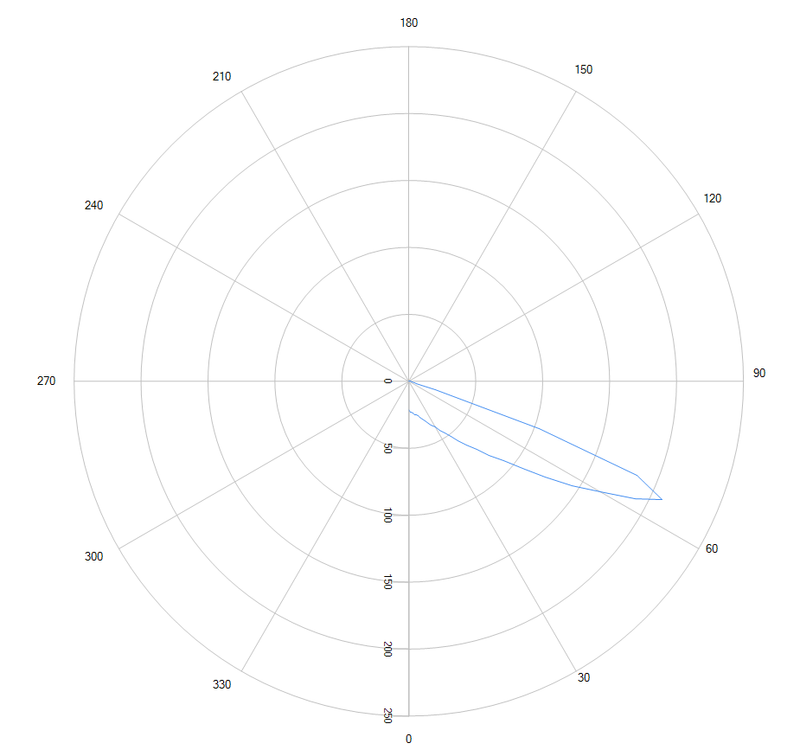 The results for this initial lens produce a peak below 60° and more light than desired in the center of the beam. Since we were targeting a 65° peak and a higher ratio between the peak and center beam intensity, we will now adjust the lens profile. Right click on the SW PODT Lens in the Feature Manager and select Edit Part from the flyout menu. Select the Revolve1 feature and then click the Design lens button (Photopia CommandManager Tab). Under Reload Lens, click the drop down list and choose the last item in the list. 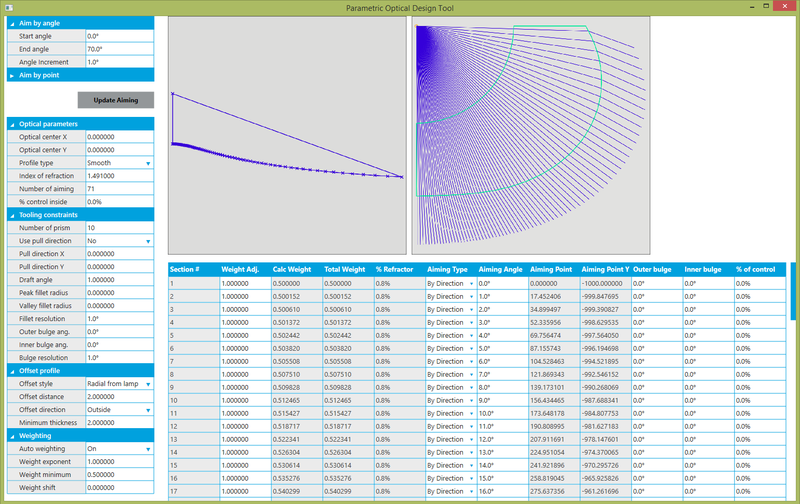 This will associate your initial lens parameters with the revolved boss/base feature. Click the Open PODT window button. Set the Number of Prism Steps to 100. This will create a smoother lens profile. Set the Weight exponent to 2. This will increase the amount of light at the high angles. The images below show the blue weighting factor plot with the original exponent of 1 and the new value of 2. The obtained candela plot from the last run is also shown in this view. The higher exponent results in a new lens shape that gets wider and is dipped in the center as a higher proportion of the lens is aimed toward the wider angles. Click the (check> to update the lens. Exit the part edit mode and return to the assembly. Run the simulation again. 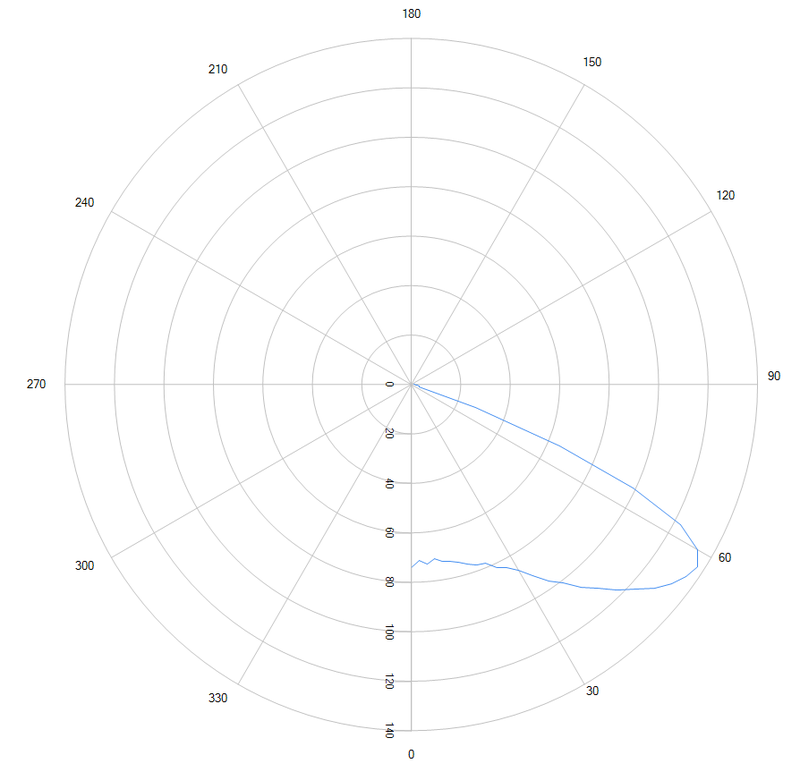 You should now see a beam with the following distribution that has a 65° peak beam angle with a peak intensity over 9 times the value at nadir. CONGRATULATIONS! You have completed the PODT lens design tutorial.